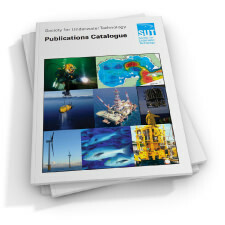 Abstract: Offshore platforms are subject to loads that vary over their service lives. This variability is the result of both the randomness of environmental events and uncertainty in the load magnitude, even if the environmental event is known with precision. The resistance of the platform must exceed the maximum load that will be experienced over the lifetime of the platform. The maximum load is a random variable that permits probabilistic assessments of load exceedances to be estimated. In general, platforms have strengths to resist loads much greater than the deterministic load calculated for a characteristic environmental event, usually with a specified return period of 50 or 100 years. The choice of reserve strength to achieve specific reliabilities is not only dependent on the randomness of environmental events, but also the type of structure. Design factors of safety should be chosen based on load events rarer than the design event to achieve reasonable levels of reliability. these factors may be different for jacket and gravity platforms. Safety factors also need to account for possible resistance deficiencies. The return period of the design environmental event alone is not a good statistical measure of actual risks of overload. The risks depend on both the choice of the design event return period and the reserve strength. Relating the design event return period to service life alone does not achieve uniform reliability. the use of annual calculated risk as a calibration reference rather than lifetime risk is consistent with normal expectations of increased risks with increased exposure. Abstract: This paper discusses the need for estimates of wind speed at various levels over the sea derived from measurements made at different levels. The difficulty of adjusting windspeeds in this way is considered in the light of commonly used techniques. the merits of the different methods are examined and a recommendation made on largely theoretical grounds. 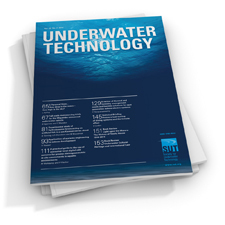 Abstract: The paper draws attention to some common physiological and human factors problems in diving and submarine operations on the one hand, and in aviation and space operations on the other, and illustrates the application of underwater techniques to solve aviation and space problems, and vice versa. the lecture was designed to entertain rather than to educate and is largely a personal account of work carried out by the author and his colleagues during 33 years of service in the medical branch of the Royal Navy. 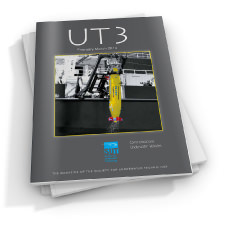 Abstract: The paper looks at aspects for providing power for two kinds of subsea control systems: first, a Remotely Operated Vehicle (ROV) and secondly, an Umbilical–independent Satellite Wellhead Control System. With regard to a particular ROV, emphasis is placed upon minimising the umbilical cable diameter, by carrying the minimum energy demanded by the duty cycle on board the vehicle. To provide the most appropriate power generator for the subsea wellhead application, the operation of the duty cycle must be thoroughly understood. Such generators may be either oil flowline dependent or independent, but in either case must be carefully matched to the duty cycle. Several candidate systems are discussed, and in order to identify the most suitable, comparisons are made of parameters such as power output, variation of power output with load, availability, development costs, technical risk of development, safety, reliability and operator preferences. 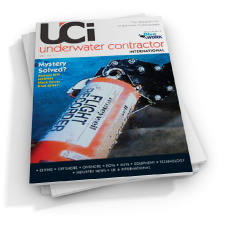 A system is described which enables physiological and environmental data, which are critical to a diver’s well–being and his ability to work safely over long periods, to be monitored continuously from the surface at depths of up to 350 msw. Only two electrical leads are required to link the diver–borne package to the surface (or bell); these leads carry both electrical power and multiplexed pulse coded data. A pressure transducer provides an indication of working depth. Abstract: The objective of this paper is to provide an insight into all aspects of the use of batteries as a power source for submersible vehicles. The first consideration is of the range of vehicles that can be powered in this way. Also described are the types of battery that have been used and the methods employed to install them. In all battery installations for subsea use, a considerable degree of care must be exercised to ensure reliable, and most importantly, safe operation. The correct choice of over current protection devices must be made to prevent fire in the cabling and other equipment. Charging procedures which will prevent risk of explosion due to hydrogen gas must be devised. Both points are dealt with in the paper. Abstract: This paper is concerned with the design, installation and operational performance of an electro–hydraulic traction winch system to handle warps for fishing and coring at depths down to 6000m in the deep sea. It is in two parts, published in successive issues of this Journal. Part 1 describes the design and installation of the system in R.R.S. Discovery, and Part 2 the performance problems which came to light during the first year of use and the way in which these problems were overcome and performance improved. Part 1 starts by discussing certain critical aspects of the design study. This includes a brief description of the computations of warp catenaries and loads necessary for the design of both warps and traction winch, and goes on to mention the particular problems of ship displacement and stability incurred by trying to fit and operate such a winch system in a mature and already ‘overburdened’ vessel. This is followed by a detailed description of a model traction winch study, undertaken as part of the overall design study, to gain insight into the operation of a twin barrel winch with independent drive to each barrel. Certain design features which were believed to be necessary for the successful installation and operation of the winch are then highlighted. The final section of Part 1 is concerned with the way in which the system was constructed and installed, including a brief description of the function of the various mechanical and electro–hydraulic components. Part 2 describes certain problems which arose during the first year of operation, and the efforts made to analyse these and so improve performance. Particular emphasis is placed in Part 2 on the discovery of rapid barrel groove wear, the serious implications of this in amplifying warp string tensions between barrels, and hence the need to match the barrel groove PCDs to the elastic characteristics of the warp in use. Abstract: It is well known that the behaviour of EM waves in a conducting medium such as sea water is quite different from that in air; the conductivity results in a very large attenuation of the field with distance from the source at all but the lowest frequencies, so a communication channel based on through–the–water propagation in a region remote from the sea surface and from the ocean floor is severely limited in range and bandwidth. There are however, some applications in which these limitations are acceptable, e.g. ship position control, where the required data rate is very low. At the long wavelengths which must perforce be used the effect of small–scale irregularities in the medium are less pronounced than for acoustic waves, so EM transmission may in some cases be preferable. If the area of interest is in the vicinity of the boundary between two media having different conductivities − for example, on or near the sea bed − the propagation modes are significantly modified, with the result that the attenuation is much less, to an extent which depends on the ratio of the conductivities. It is therefore possible to consider EM transmission for a variety of operations over short ranges, or the control of submersibles, sub–sea wellheads, etc. over greater distances. In this paper the propagation of both transient and sinusoidal EM waves generated by electric and magnetic dipole sources are considered. The effect of the sea–surface and sea–sea bed interfaces is also discussed, and reference is made to possible applications for EM transmission. Abstract: A general review is given of the Meteorological Office approach to the estimation of environmental extremes for offshore applications. The techniques and available data are summarised; extrapolation methods, possible sources of error and the derivation of directional extremes are also considered. Emphasis is given to the errors and uncertainties that are inherent in predicting extreme conditions, in line with the theme of the seminar for which the paper was written. An outline is given of the proposed wave hindcasting project which should provide a database for the estimation of more accurate environmental extremes in future. 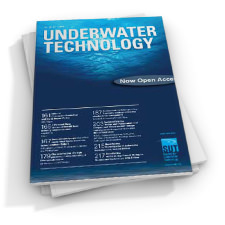 Abstract: The design and operation of a new acoustic system for determining and controlling the height of a trawl above the sea bed is described. A specially designed transducer is integrated with the Institute of Oceanographic Sciences’ acoustically telemetering net monitor. Using this system nets can be controlled and operated to within 10m of the deep ocean floor in water depths of over 5000m. Abstract: This article is based on a lecture entitled ‘Deep Ocean Energy Sources’ delivered at the seminar ‘Objectives and Technology for Ocean Intervention Deeper than 2000 Metres’ held by the society for Underwater Technology on 6 December 1984. Abstract: In June 1983 a compressor operator in East Anglia was hit in the face when the valve blew out of his cylinder. The cylinder had been recently tested and a new valve fitted with an incompatible thread. In August 1983 a cylinder just test at a West London Dive Shop exploded in East London. The compressor operator was, by good fortune, standing by the open door and was blown bodily out of the building. Apart from being deaf for several hours he escaped serious injury but the room and the installation were very badly damaged. In June 1984 a cylinder, tested the day before, exploded in a South Coast compressor room. the compressor operator was very seriously injured in this case and the building devastated. In Diver, Nov 1984, was a report of another diver who received serious facial injuries when the valve exploded from his aqualung. These are some of the incidents involving cylinders that are causing concern with the standards of inspection.